Bull market (dark green over red) the dark green 50 day average is in a parabolic uptrend. NOTICE THE SLOPE (second window), we are in a big upturn! Bull market -- expect bullish outcomes. Now about 73% of stocks are above their 50 day MA, slightly up from last week when it was 74%. Long Island Ice Tea (Ticker: LTEA) announced it is getting in to Blockchain something eruther and woosh, the stock surged to 5 times last weeks price. 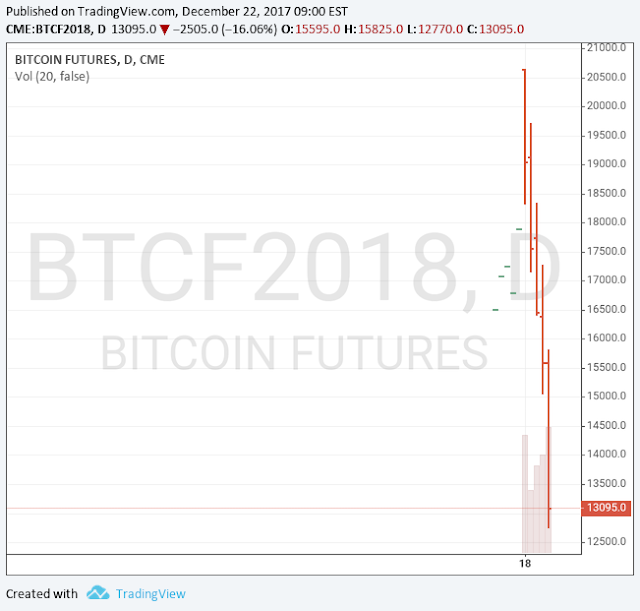 If you ever want proof this is a bubble, here is your sign. 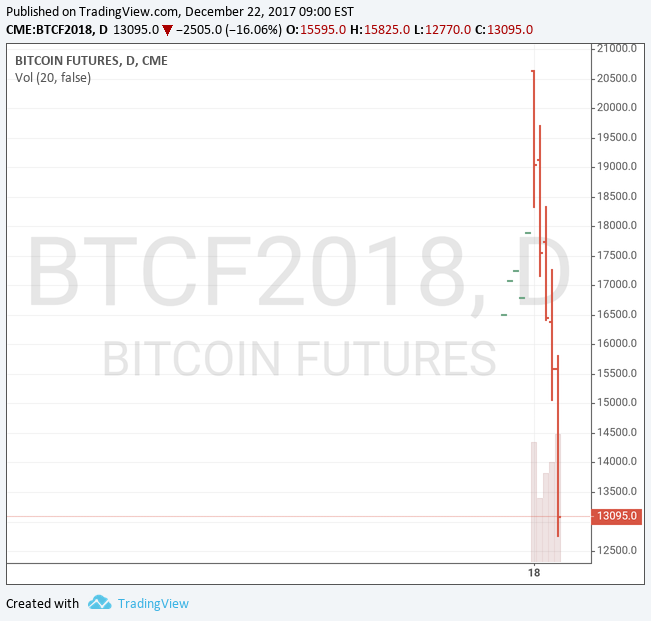 This week Bitcoin started trading on a second futures market ... the CME and well it has been ugly folks. In just a few days it is now worth almost half it $20,000 peak. Of course I would not need a bitcoin if I just had a nickle for everyone that asked me about Bitcoin this week. What Is say is you can't "invest" in Bitcoin, you can gamble on Bitcoin, but not invest. Users posting on Reddit have found that Apple is using details on how old your battery is, to slow the processor, so that they sell more newer iPhones -- as the old ones become unbearable. CPU frequencies can be set as low as half speed as the battery ages. It is a Merry Christmas, thanks in part to over optimism. Stock indexes are rising again this week led by airlines, banks, oil service stocks, and small caps. Utilities are taking another bad hit because of fear of interest rate hikes will hurt them. Money continues to be laundered in real estate, from China on the west coast and Russia on the east coast, so home builders are helping lead consumer cyclical stocks higher. Selling in semiconductors is weighing on the technology sector which continues to lag behind. Foreign stocks are also rebounding. A typical year for a stock index like the S&P500 is 9% return, this year is over 25% that alone tells you this was a good year be thankful -- but don't think you are entitled to two such years in a row. The market has some warnings that there will be consolidation and profit taking now that the Trump tax bill is done... so a bit of a correction could happen, or just flat for a while. However in 3 out of 4 years there is a year end surge in prices in the last week of the year. The big picture is solid, overbought can go on a long time, and so far has. 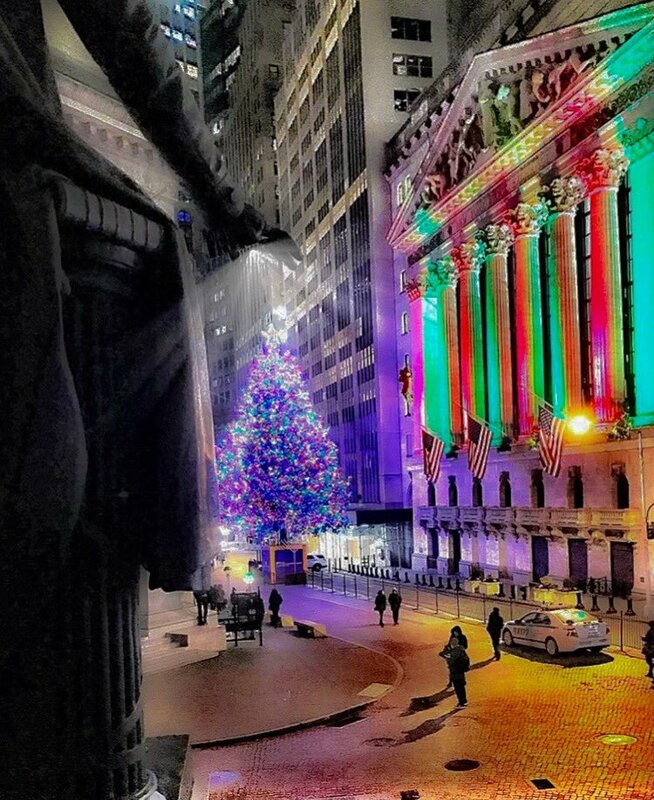 In 2017 you have been participating in the second longest bull market in our lifetimes. Merry Christmas.